Greece is full of hidden Stunning Places. Remote Beaches, Magnificent Gorges and Mountains, Picturesque Villages and Vibrant Cities. No Wonder why Car Rental in Greece is the Number One Choice for Visitors! Get out of the Mainstream Holidays and ...just Discover Greece... We are Here to Help! BookMyCar.gr is a Car Rental Network Made by Car Rental Agencies all over Greece and Maintained by Travel Experience. We offer Best Service Car Rental in most of Greece Destinations and with Very Competitive Prices and Offers. On All the Above Locations we Offer Free of Charge Delivery to Airports and Ports and Delivery to your Hotel of Stay. Size: Think carefully about what kind of vehicle you'll need. If you're traveling with children or with a lot of buggages, you may want a large sedan or SUV. If you're simply looking to save money on rental rates and gas, you'll want to reserve the smallest available model. Transmission: Manual or Automatic? Most Car Rentals Vehicles in Greece are with Manual Transmission, but you can always find automatic cars. In most cases automatic cars are more expensive than manual since they are few of them. Make sure to check cars description for transmission type! Car Rental Insurance is often used as an extra earning for Car Rental Companies. Many Companies offer "Full Insurance" or "100% cover" but when you collect the car you find out that there is an excess on damages. If you dont find clearly whats the excess of damages then propably is something you'll find out upon collecting the car. In our Online Reservation we clearly state either "Zero excess on damages" or the excess ammount of each vehicle and how much is the extra price for smaller or zero excess. 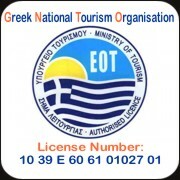 In Crete and rhodes we offer Absolutely ZERO excess on Damages!